While Johnny Hekker might not play in any of the more prestigious positions in American football, the four-time First Team All-Pro Los Angeles Rams punter can hold his head high as being arguably the best in his position in the league today. His team certainly feels the same way as they rewarded him with the highest contract ever given to a player that plays in that position. Read on to find out more about the life and career of the former Oregon State college football player. Johnny Hekker was born Johnny Robert Hekker on the 8th of February, 1990, in Redmond, Washington. Details about his childhood are not available, although it is known that he is a part of the 2008 graduating class of Bothell High School and that he played as the starting quarterback of his high school football team. He notably guided his school to the State Championship game which they lost. For his college education, Hekker attended Oregon State University where he began playing the punter position for his college team. The young man proved to be prolific in his new position as he remained a starter for the school all through his four-year college career, setting numerous records along the way. In 2009, he was a semi-finalist for the Ray Guy Award and earned a Phil Steele All-Pac-10 Second Team selection. The following year, he managed the second-longest punt in school history, and also had at least one punt of 50+ yards in every game. In 2011, Hekker set a single-game Oregon school record, and by the end of the year, he earned a Pac-12 Conference Honorable Mention. After graduating college, Johnny Hekker made himself available for the 2012 NFL Draft but was not selected. He was however signed as an undrafted free agent by the St. Louis Rams. In the second week of his rookie season, Hekker was nominated for the Pepsi NFL Rookie of the Week award after he recorded 3 punts, 165 yards, and a 48.7 net punt average. Two weeks later, he became the first Rams punter in a very long time to throw a touchdown pass. By the end of his first year in the big leagues., he had managed about three Pepsi NFL Rookie of the Week award nominations after managing 82 punts for 3,756 net yards for a 45.8 average to announce himself to the league. In 2014, Johnny Hekker’s performances, which had kept on improving since 2012, earned him the largest contract ever given to a punter as he went on to lead the league in net punting average. He was further rewarded with an All-Pro selection by the Associated Press for a second straight year. There are conflicting reports as to the exact salary in which Johnny Hekker receives. In 2014, it is said that he signed a six-year $18 million contract with the Rams, however, a few other publications are reporting that the six-year deal is actually worth $21 million. Whatever the case may be, Hekker’s average annual salary will be falling somewhere between $3 and $3.5 million. There is a saying that only NFL players who play in the flashy or more prestigious positions, such as the quarterbacks and wide receivers, are the ones who get to date the hottest women. That, however, does not seem to be the case for Johnny Hekker who was able to date and marry one of the hottest women you could ever come across. The former Oregon State Unversity player is married to his college sweetheart, Makayla. 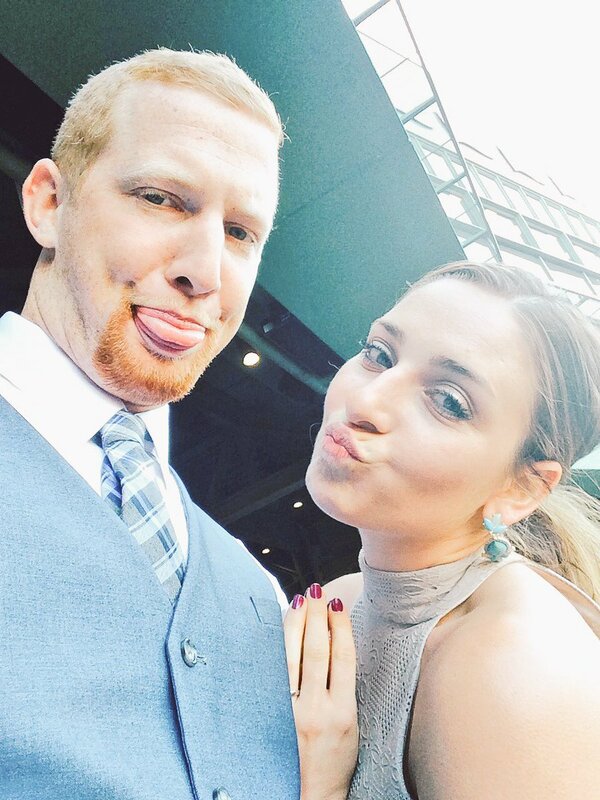 Hekker met his future wife when she was a freshman in Oregon and as the story goes, he first set his eyes on Makayla, who was a part of the gymnastics team, when the school’s athletes attended a student-athlete banquet. That night, Makayla received the newcomer of the year award and Hekker proceeded to add her on social media. The two exchanged messages for a while before becoming an item. In 2015, after Hekker had joined the Rams franchise, the pair exchanged vows and have gone ahead to welcome a child together. The average height and weight of American football players that play in the punter position is 6 feet 1 inch and 214.32 lb. Johnny Hekker appears to stand taller and weigh more than the average player in that position, thanks to his listed height of 6 feet 5 inches (1.96 m) and 241 lb (109 kg).